Date line Nov. 3, 2015 Election Day. 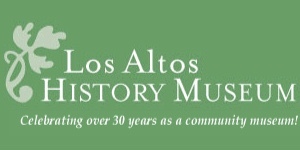 The YES on A side has been in conversation with Lalahpolitico on why voters should vote YES on Measure A Los Altos. On their behalf, I have gathered here what I regard as their key points. Lalahpolito has not endorsed either the YES or NO side. See both her article exploring key issues and her wonky article on the proposed size of the new community center building. There is also 11 Reasons to Vote No post. 2. Several dozen property owners around the civic center should not deny the 28,000 residents of the City of Los Altos increased recreational utilization of the City’s Hillview property through the adding of new, adequate facilities via Measure A. 3. Vote YES on Measure A Los Altos to avoid having the City spending millions to merely patch up the crumbling old Hillview Center, essentially wasting that money. The Hillview building should be replaced, not repaired. 4. 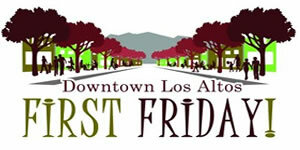 Los Altos Measure A will not cause any great increase in recreation programs, just enhancements. An enhanced Senior Center will likely consume most of any interior square footage expansion. 5. If one includes Los Altos Youth Center, the interior square footage that the City Recreation Department manages at the civic center will increase 7% at most. 6. Traffic can be managed so it uses other access/egress points in the civic center. 7. An integrate multi-pool complex at Hillview will allow multi-generational swimming recreation. Kids can participate in swim team practice in a cool pool, while mom and grandma are doing Aqua exercises in a warm pool. Splitting up the pools, like at Egan and Blach, defeats the multigenerational purpose. 8. Boce Courts will not be built where 3 oaks in the library parking lot now stand. They can remain if Los Altos Measure A passes. 9. The YES on Measure A Los Altos supporters represent the broad swatch of 28,000 residents, not just downtown property interests. We have over 80 contributors averaging about $500 each versus 17 contributors so far identified for NO (PA Daily). Only two of the YES contributors have downtown property interests. 10. 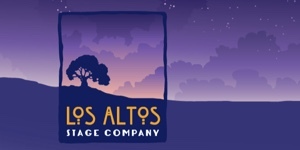 Letting oneself trust the city council, commissions, staff and public participants to handle an undefined future in a good way is the key to Los Altos Measure A. No bond issue wording is very specific. If the council were to agree on a very specific plan, and after winning the bond measure, some circumstances had changed, some new information had surfaced, then council should and could go back and change the specifics.